The BEST chicken salad recipe. This makes the perfect dip or sandwich filling! This chicken salad recipe is one of my very favorite things to eat as a meal or snack throughout the day. 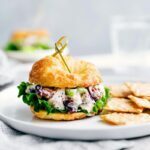 If we’re hosting, this chicken salad is my go-to for an easy and DELICIOUS appetizer or light meal. My toddler has recently started telling a few lies. Luckily for me, he’s not very good at it yet and so hopefully I have a chance to reverse that a little. He told me the other day that it was his brother that got into the Halloween candy stash (his brother clearly has talents I don’t know about because this was all done while his brother was napping)…. And one of the best lies yet: he couldn’t try this chicken salad because his “tummy told him not to.” Even better is when he expounded about how him and his stomach communicates. Chicken salad is a favorite in my family and this fall-inspired version is the BEST! 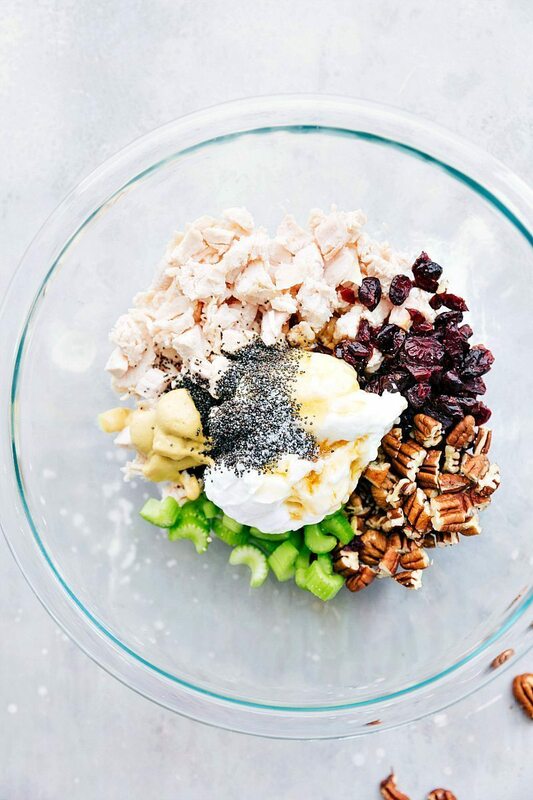 Toasted pecans, crunchy celery, super flavorful chicken, and chewy cranberries all tossed in a sweet poppyseed dressing? Amazing! And even better when it’s served as a dip with crackers, fruit, and veggies! This recipe is extremely easy which is perfect for this busy holiday season! You can whip it all together in 10-15 minutes and serve it right away! Add a sprinkle of salt and pepper and you now have the perfect compliment for your salad. Check out my recipe below for detailed directions on how to make this delicious recipe. 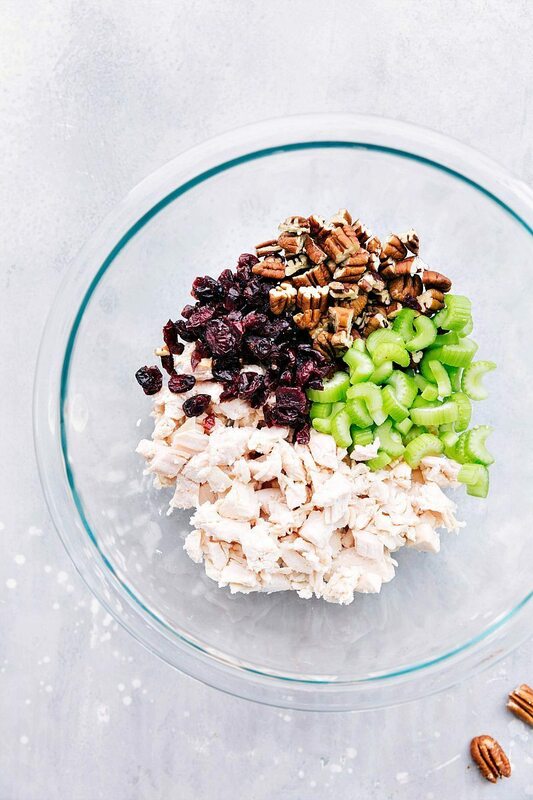 There are only FOUR ingredients in this salad: pecans, celery, dried cranberries, and chicken. 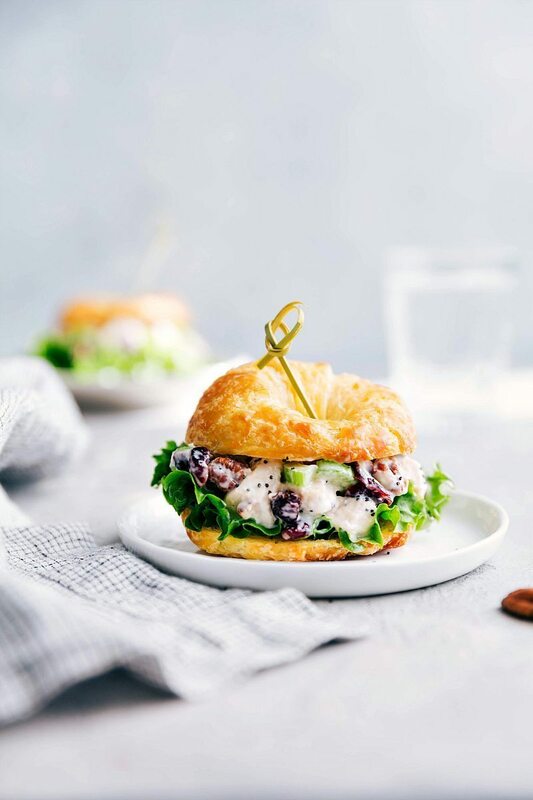 The “dressing” for this chicken salad recipe requires only a few ingredients as well: mayo, sour cream, poppyseeds, a little lemon, Dijon mustard, and some honey for a little sweetness. How Do You Serve This Chicken Salad? 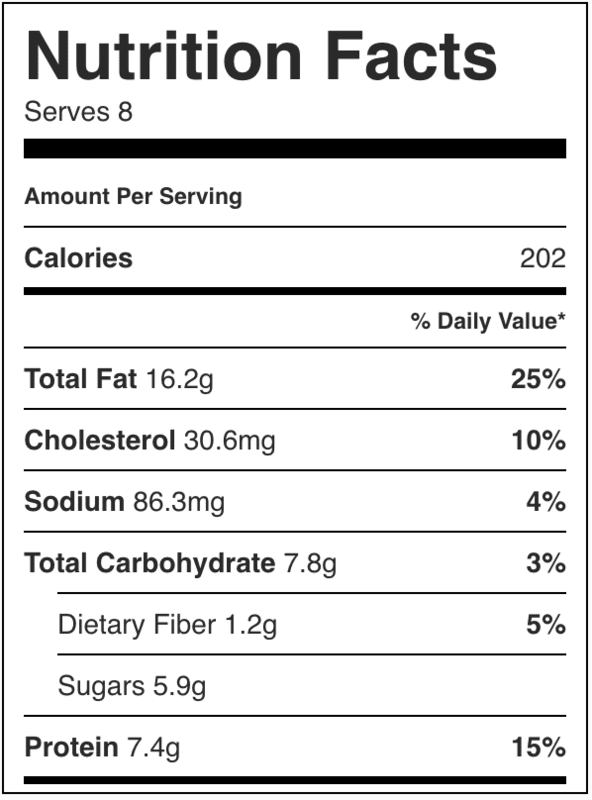 Serve as a dip: place the chicken salad mixture in a bowl and surround it with chips, veggies, and thinly sliced apples. In a large bowl, add in the chopped rotisserie chicken, toasted and chopped pecans, dried cranberries, and thinly sliced celery. Add the mayo, sour cream, honey, Dijon mustard, poppyseeds, lemon juice, and a generous (or to taste) sprinkle of salt + pepper. Enjoy with crackers, apples, and celery sticks OR layer it on a croissant and add some lettuce. Enjoy immediately. Looks wonderful, but how do you make the cranberry-infused-with-cherry-juice??? I’m considering adding dried Montmorency cherries instead, we use them in green salads as a sweet/tart surprise amidst the blue cheese dressing. That’s just an option for store-bought (I think Craisins makes it) 🙂 Montmorency dried cherries would be delicious too; in fact, we use those often and LOVE them! Enjoy! This looks like a lunch I could eat all week, and totally will. 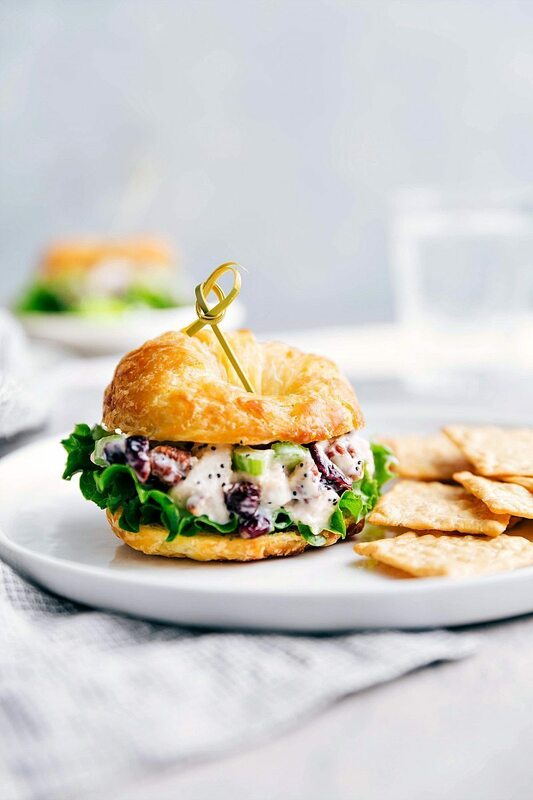 Love a good chunky chicken salad, especially on a nice croissant! Can you explain cherry infused dried cranberries? Does this just mean I soak them in cherry juice?? ?